One-piece swing-off front and body. 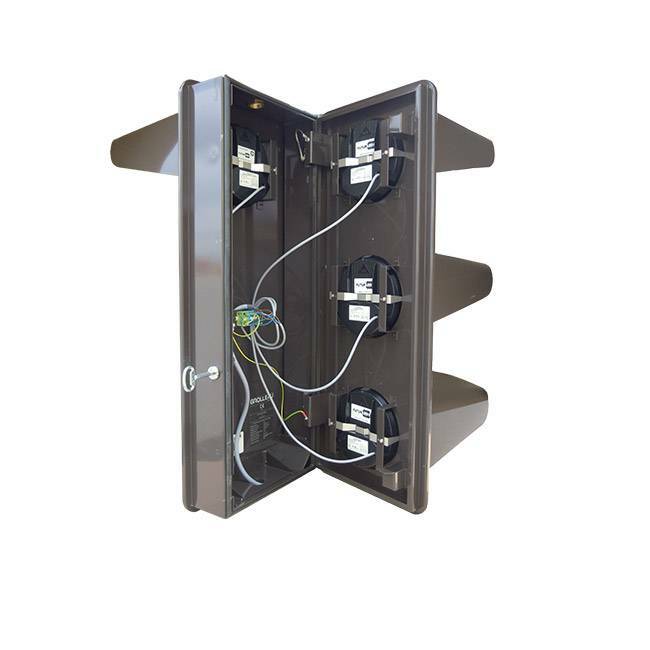 IP44 tightness NF EN 60529 standard compliant. IK10 mechanical resistance NF EN 50102 standard compliant. Equipment approved by the Ville de Paris street equipment Lab. RAL 8019 smooth brown finish. 2 squared alien size 6 key 1/4 turn latches. Green-yellow-red LED, 230V supply, NFP 99-200 standard compliant. LED AR Red Cross, 230V supply, NFP 99 – 200 standard compliant. 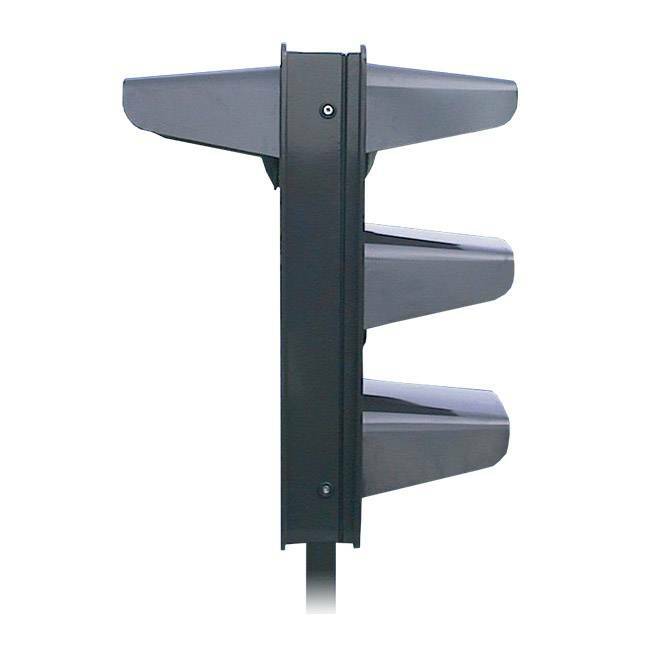 Short or long, single or double mast mounting bracket. Side mounting bracket on mast depending on model. Interested in our Main Signal 4 Traffic Lights ?